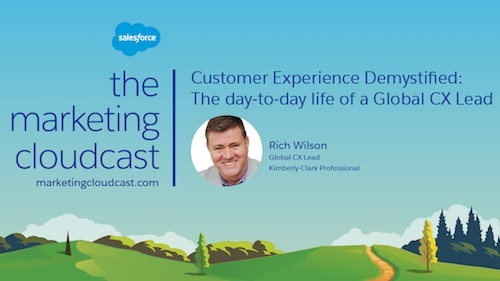 When you’re just starting out, customer relationship management isn’t too big of a challenge. Your teams for business development, sales, account management and customer success will surely be busy, but they’re unlikely to feel overwhelmed by a high volume of important data points being pushed their way from other platforms or business units. As your company starts to build momentum, however, it becomes all the more difficult to make sure everyone’s on the same page. When your business grows, you have to figure out how to maintain those customer relationships in a scalable way. You don’t necessarily need a full-on data warehousing solution, but there are some distinct advantages associated with having the ability to track all phases of the customer life cycle from one robust resource. What happens when your marketing team wants to know which social media advertising campaign leads to the best retention rates, or when your sales chief wants to redefine the criteria that identify a qualified lead? That’s when you need your CRM to provide an intuitive, 360-degree view of your leads and clients. With this data at hand, your CRM can become a happy hunting ground for any number of teams in your organization – from business intelligence to marketing to accounts. Your CRM should be ground zero for everything relating to your customers anyway – that’s what it’s for. According to research from LinkedIn, some 24% of CRM users spend more than 10 hours per week working within their preferred CRM tools. This is time well spent. When you know what your customers want, what they’re saying, and what they’re doing, you can tailor every aspect of your business to serve them better and keep them loyal—and save your business time and money in the process. Below are some handy tools that will help keep your CRM synced, for superior tracking of all phases of the customer life cycle. It has always been difficult to figure out the exact impact advertising has on sales revenues. How can anyone determine how much a certain campaign influenced a customer? 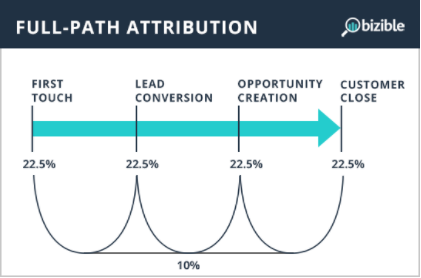 Attribution is exactly where Bizible shines. They offer the ability to pinpoint what’s working and what isn’t, be it organic reach or paid, event marketing, or even partner programs with other organizations. 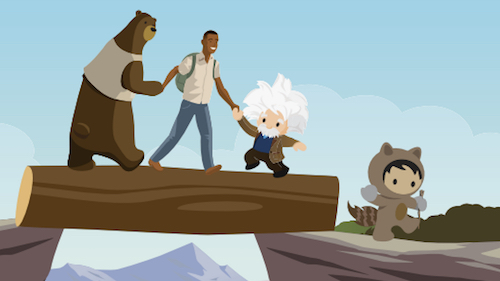 They take the complex and simplify it into easy-to-comprehend data streams available within your Salesforce account, so you can make better, easier and more informed marketing decisions. No business has enough resources to manually pursue every captured lead. Nor would you want to – many are going to be completely irrelevant, and the ones that are relevant generally need to be nurtured before they’re ready to hear your pitch. So you have to prioritize. 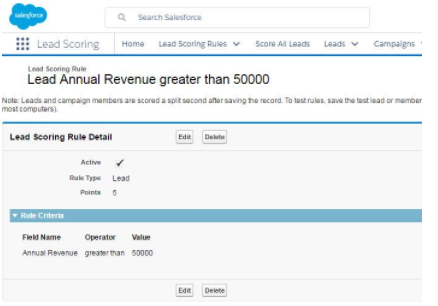 Salesforce Labs’ free Lead Scoring tool can help you do that. You can set up as many as 200 rules to help the program figure out which leads are qualified and which ones still need warming up via automation. Waiting for signatures, electronic or otherwise, can bog down workflow like nothing else. DocuSign offers a highly customizable mechanism for securing approvals from necessary stakeholders, anywhere and from any device. 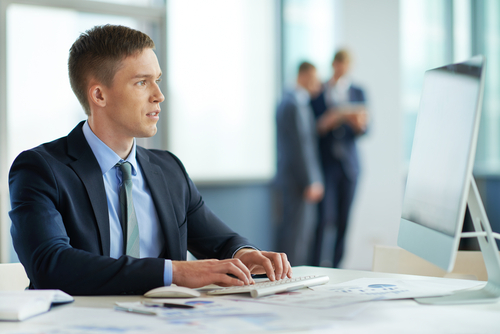 Not only can you digitize documents and forms, you can track signatures from anywhere to stay on top of your game. And because DocuSign offers rigorous security settings, you can rest easy knowing your confidential documents are safe. With DocuSign set up to sync with your CRM, it’s easy to track what’s pending and automate follow-ups. Owned and operated by cloud accounting platform Xero, WorkflowMax is an extremely versatile project management system that can be customized to work with proposals, custom project fields, process and assignment types, reports and more. And because it’s a Xero product, WorkflowMax makes billing and collecting easy. You can keep track of timesheets, send out purchase orders, send invoices to clients, and cost out jobs. WorkflowMax seamlessly connects and integrates with Salesforce. That’s a particular bonus here, since you won’t have to waste time re-entering your accounts when it comes time for billing – and you’ll get transparency into any project’s progress from within the CRM. As your business grows, you’ll need to start thinking about which customer service help desk tool to use. 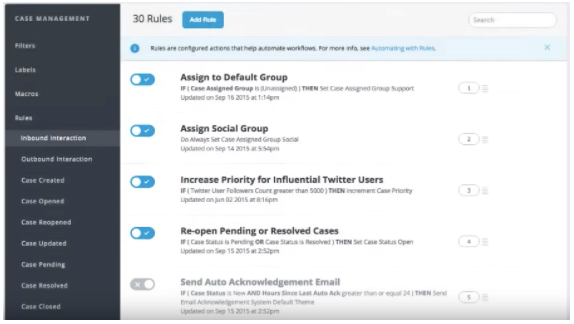 If native syncing with Salesforce is important to you, look no further. 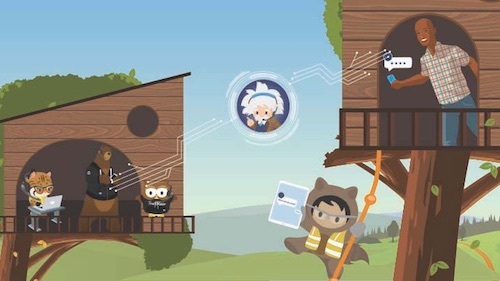 Desk Customer Service is Salesforce’s out-of-the-box support tool, and it’s got all the capabilities you’d expect, including automated messaging, editable canned responses, a dynamic self-service knowledge base, and the ability to pull queries from and post replies via your social channels. Qualtrics is an absolute must-have for customer feedback. Highly customizable survey forms can ensure that your questions are formatted to get the most useful responses, and the export function makes it easy to collate survey responses into easy-to-read reports with relevant visualizations. And as a bonus, the version that integrates with Salesforce allows you to track and capture leads based on survey responses. It’s a tough market out there for new businesses, and you need every edge you can get in seeking out, bringing in and keeping customers. There’s definitely a learning curve in making all of these programs work for you, but once you get the hang of them, the sky’s the limit. By customizing your CRM to serve as the last mile for all phases of your customer lifecycle management, you’ll have easy access to the metrics you need, within the ecosystem where you’re likely spending most of your time anyway. Rohan Ayyar fits into dual roles at E2M, a digital marketing agency where he’s involved in web analytics and creative content strategy, and at Moveo Apps, where he steers the UX process with a focus on conversions. Rohan is an avid blogger, with posts featured on Fast Company, Business Insider India and Entrepreneur, amongst others. Follow him on Twitter at@searchrook.